Learning a new language isn’t easy. Even if you buy a software package like Before You Know It, you’re still looking at hundreds of hours of work before you can speak, read or understand the new language to a reasonable standard. Learning a European language is hard enough, but at least when you’re learning Spanish, French or German you’re still using the alphabet English speakers understand and you can often find some similarities between foreign words and their English equivalent but that’s not the case with Mandarin Chinese. There are some tips though on how to learn Chinese fast that will make things easier. If you wanted to lose weight, you would probably spend money on gym membership. When you invest money in the gym, you tend to go there not only because you want your money’s worth but because you only really pursue your goals when you’ve invested some resources in them. This is the same with learning a language so you should find an online Chinese course and invest a little of your hard-earned cash in it. Since you’re interested in learning Chinese, you’re obviously interested in the country, its people and its culture so immersing yourself with 2 hours a day of Chinese TV and a little music shouldn’t be too difficult. This is one of the easiest ways of understanding the language and it helps accelerate your learning. One of the best tips for learning Chinese quickly is to learn short sentences rather than trying to memorise each character individually. This is particularly important because Chinese characters change their meaning depending on the context of the sentence. If you need the language for work, you should make an effort to speak to Chinese suppliers or customers in their native language. Make them aware that you’re learning and they’ll be more patient with you. It’s probably pretty obvious but the best learning tool you have is determination. 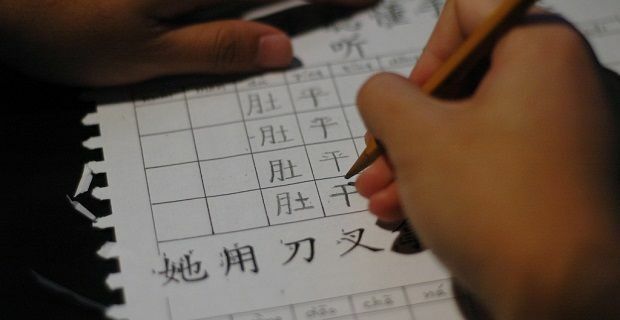 Even if you don’t learn Chinese as quickly as you had hoped or you find it harder than you thought it would be, keep reminding yourself why you wanted to learn the language.